A quick post on my four favourite local shops which all have healthy, local living and access to sustainable food at their core. First up is Fin & Flounder the friendly fishmonger at the London Field’s end of Broadway Market which has a great selection of sparkling wet fish and seafood which all comes from sustainable sources. I’ve had the pleasure of enjoying some tasty Squid, stewed Portuguese style with onions, garlic, chili, tomatoes, parsley and white white and a thick slab of Ling and some sweet Monkfish cheeks, cooked with a fresh Thai green curry paste and lashings of coconut milk. 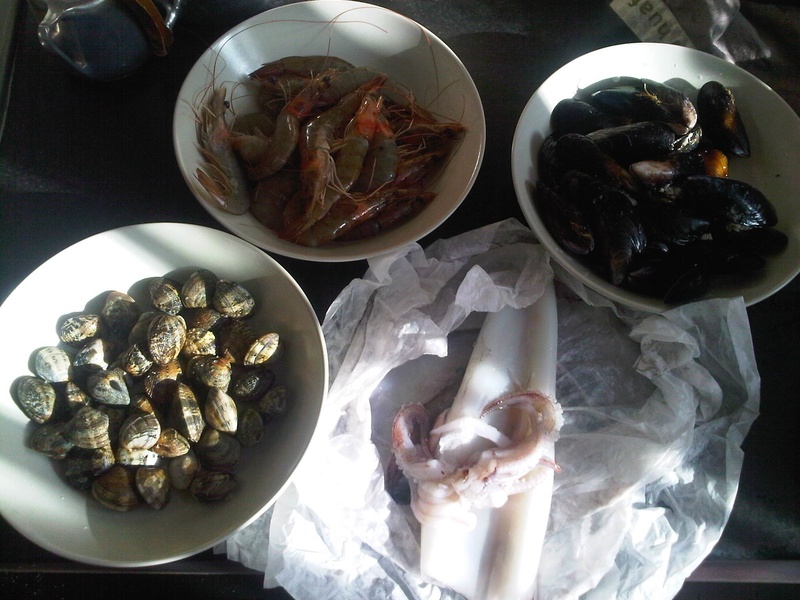 The head of the fish is always the most delicious part of the animal, the cheeks being the gold. They even Tweet! On Dalston Lane, this newish health food shop with a small cafe has great juices, smoothies, coffees, cakes and sandwiches served on E5 Hackney Wild Sourdough is a quiet place to hang out with your laptop. Set up by a local couple who now have a young baby, one a trained nutritionist and the other a passionate foodie, they stock a range of Organic fruit and veg and various other staples and you can also refill your Ecover bottles. 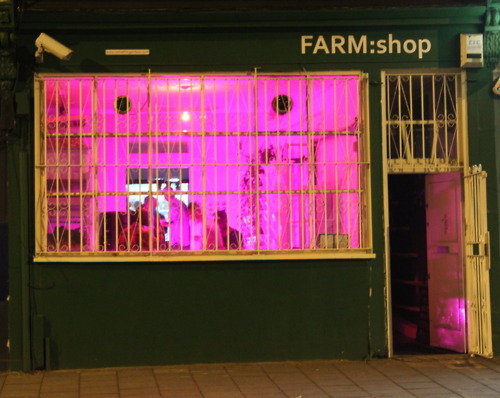 This urban farm come cafe, workspace and unique event space has been around for a year, opposite Dalston Curve Garden. It was originally devised by Something & Son – ‘How much food can we grow in a shop?’ and is now a fully functioning sustainable business with fish, chickens on the roof and loadsa salad which is used in the cafe. They also have a polytunnel at the back which is great for events or to enjoy a fresh urban snack in the heart of Dalston. If you are interested in creating your own FARM: Shop email these guys here. I have just started working with these guys, the whole shop is run by a range of volunteers! Pop in and get involved. They have just joined Tumblr, enjoy. They started off as a vegan bakery, and now sell their products throughout the UK. Their cafe is just by London Fields overground station under the arches which gives it a holiday feel. Happy Kitchen specialise in sweet vegan goodies which use no sugar, just wonderful fruit and a range of savory lunchtime salads and one pot wonders. They also sell loose pulses and have a range of food centered events/classes under the arches. They also have a stall on Broadway Market on Saturday if your feeling like a festive brownie. See what they’re up too. Hopefully the full website will go live soon.